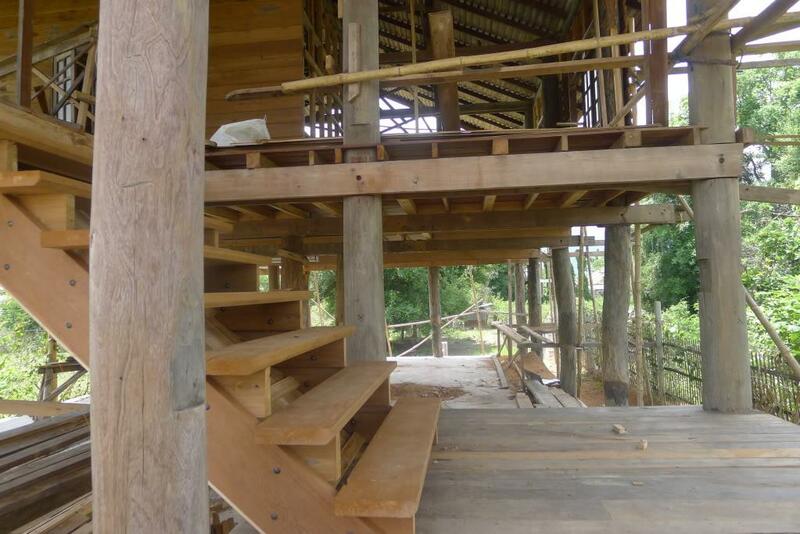 We are relunctenly selling our beautiful Teak wood house and Land in Pa daed, Chinagmai Muang. We are 500 meters from the Ping river in a comfortable moo baan. 3-4 mins to Big C, 5-7 mins Tesco, 8-9 mins old city. 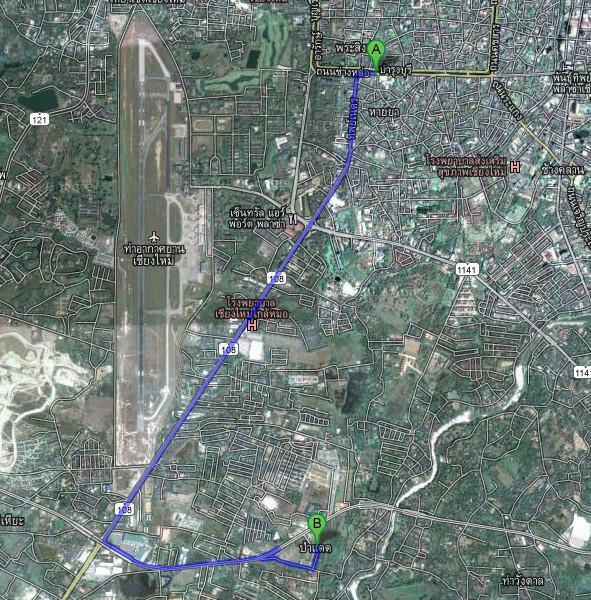 From where we are becuase close to superhighway, we can get anywhere in Chiangmai fast, without traffic. We are currently still finshing the house and this is represented in the price. 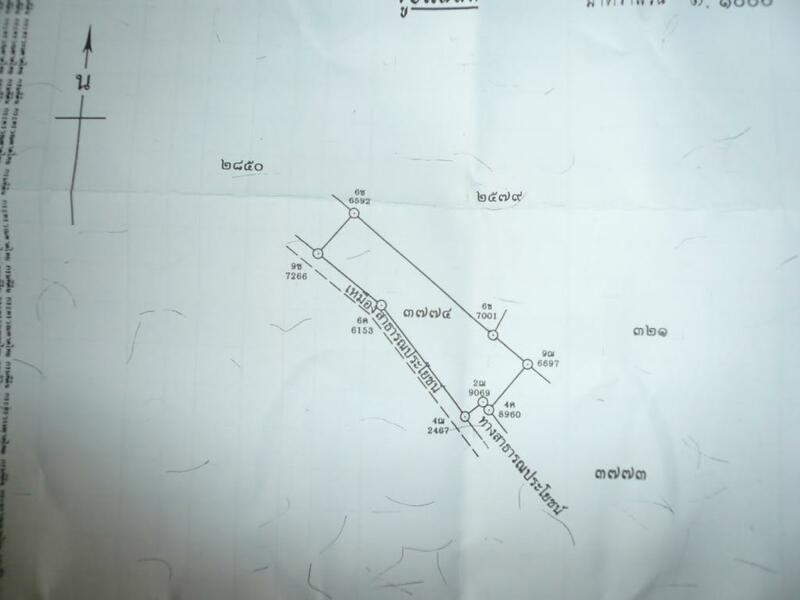 option 1) Sale of land(chanot title on both plots) in total (2 plots) 250 tarang wa (1000 m2). This has well water and works all year round, and temporary electric for building. The 1st plot connected to the road is raised at a height of 2 meters + and has views of Doi suthep temple and mountain. The second plot is not raised and creates a nice tier for views of mountain. There is a concrete slab already poured for a house with septic tank sunk in. This will all be included with the price of the land. option 2) Sale of Teak wood house and land (as described above). 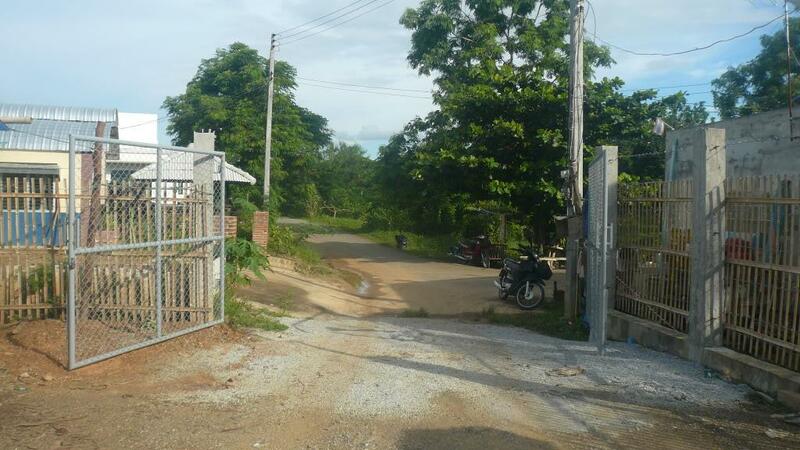 As it is with land total as complete structure 4.5 million baht. We could work out getting electrics and plumbing done for extra, or leave depending on your discretion. but we do have water from well with the possibility of mains water coming soon. although the well water runs all year round as its 30 meters deep. The House is 8 meters wide by 11 meter long, traditional lanna style. It is built as traditional wood houses should be made. Everything is high quality old reclaimed wood. Teak is used everywhere apart from for floorboards which is Mai Daeng (redwood), and staircase which is new wood high quality mai daeng. The roof frame is all wood and not cheaper metal, everything on this house is amazing. The house is almost finished with just some floor and walls to be added, we can for anyone interested, make adjustments for rooms or leave as blank canvas. There is possibilty to have 2 main bedrooms and one childs room and 2 bathrooms, or many other permatations. The downstairs is an open canvas for kitchen and lounge and dining with plumbing for bathroom downstairs (septic tank plumbed in). also i can provide pictures more current for interested parties. We can only accept bankers cheque or cash. Presently living in Bangkok. I am interested in your offer. Please send several pictures of the inside and outside. If my interest is ongoing I will arrange to fly to Chiang Mai to see the house and property. How far is it from downtown Chiang Mai? You can see the most recent pictures of the house on the construction forum. If you have an email address i can send them to you directly also. We are in Pa Daet on 2nd super highway south of city wall, we are 6 km by road to Chiangmai city wall, which is a very safe and beautiful drive by the river Ping. You can also get anywhere else in and around chiangmai quickly, as we are near the ring road, becuase of this north, west and east chiangmai seem all very close. We have a very special house and piece of land, alot was done to the land initially to make sure it was good for building on raised and drainage being key. We also have an amazing wood house, using mostly Teak and red wood. obviously this is still being built we hope by june to be mostly finished as described with internal electric and plumbing to finish, but this is why the house has not got a higher asking price. 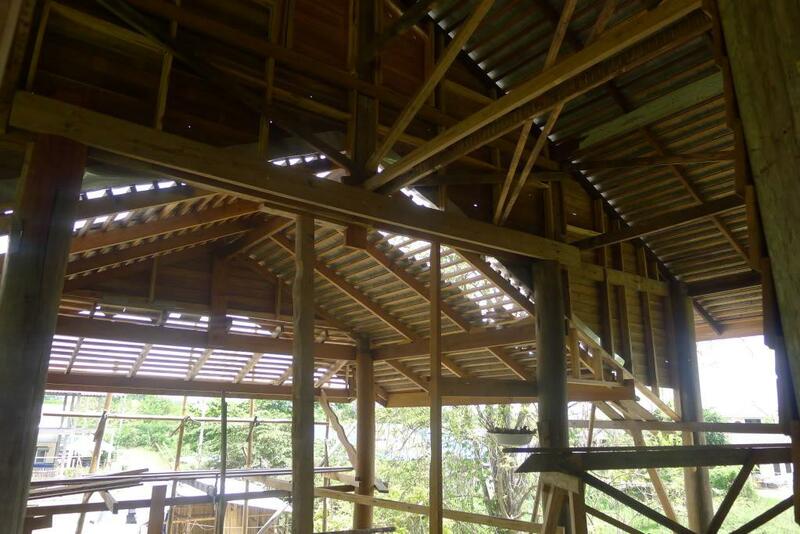 some interior shots of the work just being done, the main differnece from our house to most other new build wood houses is that we have used wood for the roof which has a great expense to it, but makes a dramtic difference when you look up. 2nd sala which will have seating which will over look the garden at front of 35-40 meters. you can see the craftmanship on the eaves with naga style finishes, the house is truly hand crafted to ahigh quality with the best woods. internal view of the house, we have used an old teak house as the base and other teak reclaimed wood to make our new design. This is based arounf the old house and Lanna living, where the house is tiered and has levels inside the house. This is a very unique house and i feel reluctant to sell. I hope you can see the beauty and quality that we have put into this house. 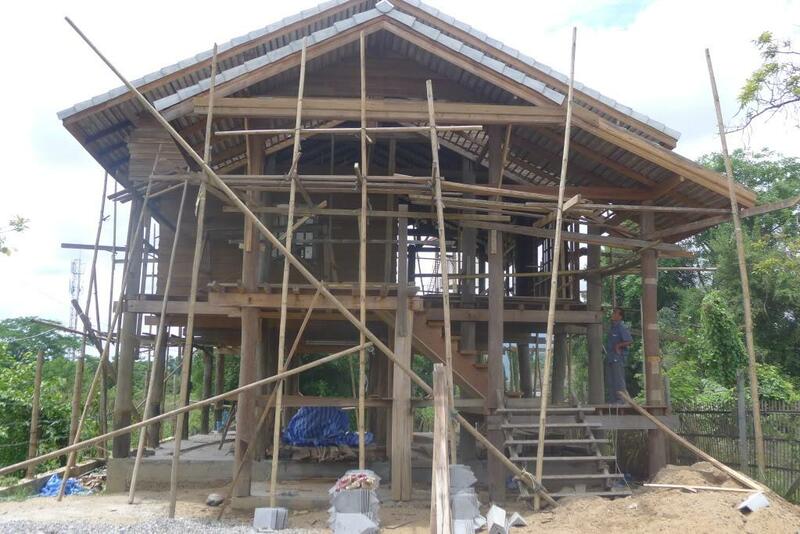 I am not in Thailand at the moment but will be back in June when the house should be completed structurally. 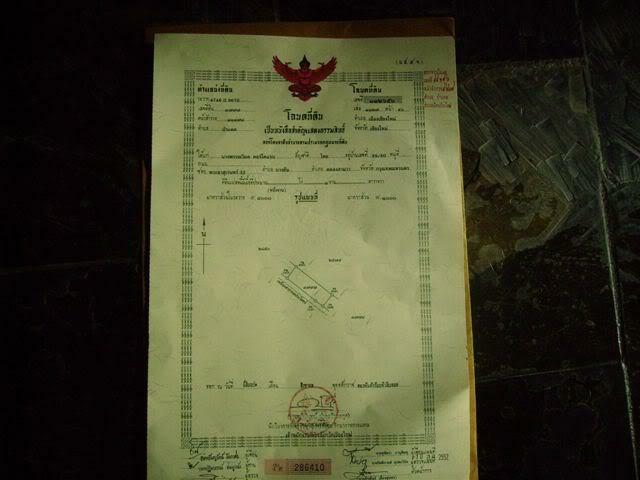 My wife is in Thailand, and the land is in her name she holds both plots with Chanot title deeds. 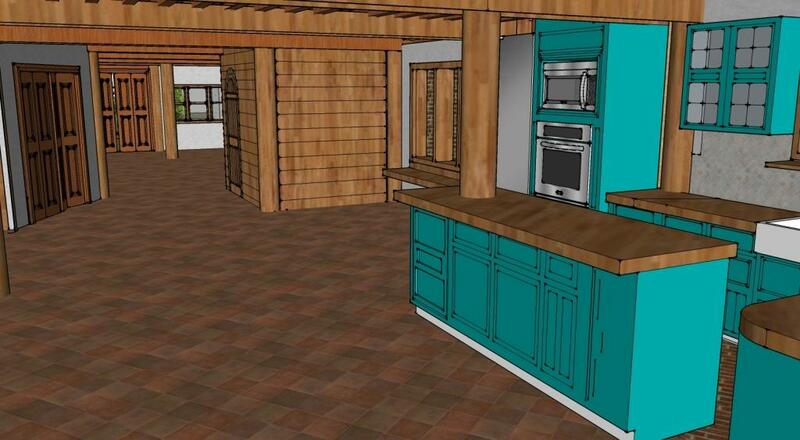 It would be then at a stage where you could shape the house as you please to make into how many rooms you desire. I can show you plans and architects drawings if you like what you see from here? Thank you for your interest and look forward to hearing from you again. Hopefully by the time your reading this most of the main house is actually finished, the land has a temporary fence around, but we were going to use bamboo, obviously we can show where and give you prices of these things if you decide to go ahead. We have put posts down for an extension out the back, this really can be up to you to make into anything you want. We have wood posts and wood to start building (which we will include in the price but you would need to buy more). alternatively you could use concrete but i wouldnt myself. You could easly fit more buildings around this, or infact just a have an incredible front and back garden. overall view of google sketchup model exact in proportion and size to google maps. 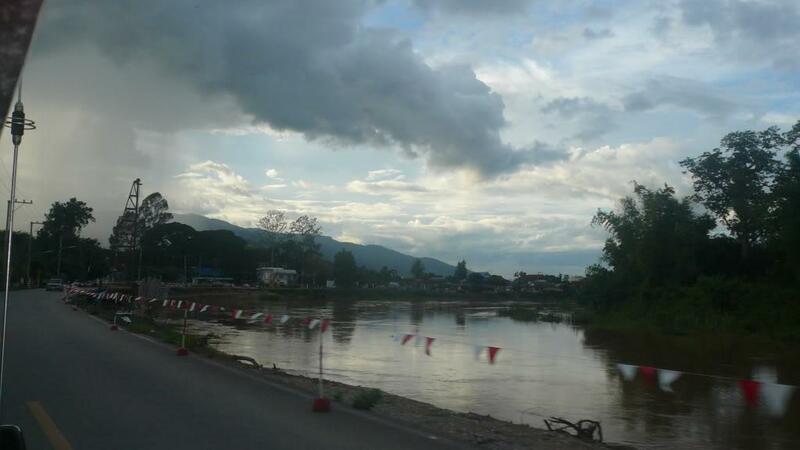 This is about 500 meters away and the main road into Chiangmai, currently having the meander of the river concreted. I will be back in Thailand soon and more updated pictures of house and completion will added for those who are interested? Ho wmany kilometres to the Airport please? Sorry i did not get response from teak door that a message had been posted. The distance as stated from google maps is 3.1 km, the time it takes me to travel by car is 5 mins. We are next to Superhighway no2, but moved back from the road. Close to Big C hangdong, Tesco Hangdong road, Macro etc. you can get to the city in about 8 mins following the river Ping. Any more information please dont hesitate to ask. Both Chanot are owned outright as is the house so far. 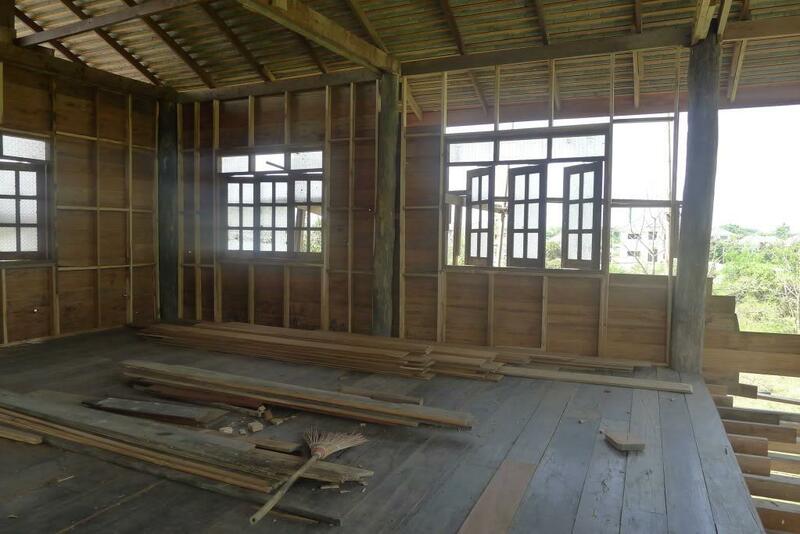 To complete the house as is, the cost is about 150,000 baht to 200,000 baht including plumbing electric and wood to finish. This is reflected in the cost, the house is made from quality Teak wood. We are once again looking at selling the house. We have had a great time building it but we are looking at another place, and would like to relinquish funds from this to buy it. We have Chanot titles for 2 plots that are 250 square wah (1000m2). We also have full planning permission for the house. The house is 300m2+. We are offering a price of 5.25 million, which breaks down to 2.25 million for land and 3 million for house. This is the cost at current for building the house which would be a great buy for anyone wanting to finish this great project. This would be a fantastic family home or great investment to rent or sell when finished. The land has views of Doi suthep temple when lit up at night, as well as being 40m+ away from the road. The plot is in Pa Daet, Chiangmai Mueang. Only 9 mins from chiangmai moat, 3 mins from BIG C Hang dong Road. The 2nd superhighway is close which means you can get anywhere very quick. The house is a Traditional Lanna Teak house with double clad walls, Western electrics including LED lighting through out. The finish so far is of high quality, and the purchase of the house will come with showers, toilets, sinks, tiles and all other bits not yet attatched. You can view the thread of building it here, http://teakdoor.com/construction-in-...e-build-7.html (Traditional thai wood house build...) a lot of work has gone into the land being raised. The house itself is about 88%-90% complete where someone can finish it to thier own tastes. With very little main construction left to do. The cost to finish the house with kitchen, basic garden etc is estimated at about 500,000 and this is considered in the final value we are offering. 10 main woods posts 100 years old very nice big. 5 big cross beam for joists. Teak wood for the wood panels inside and frame. the only thing that might need to be added are the battons for roof tiles. These are very cheap and I can point out where to purchase. 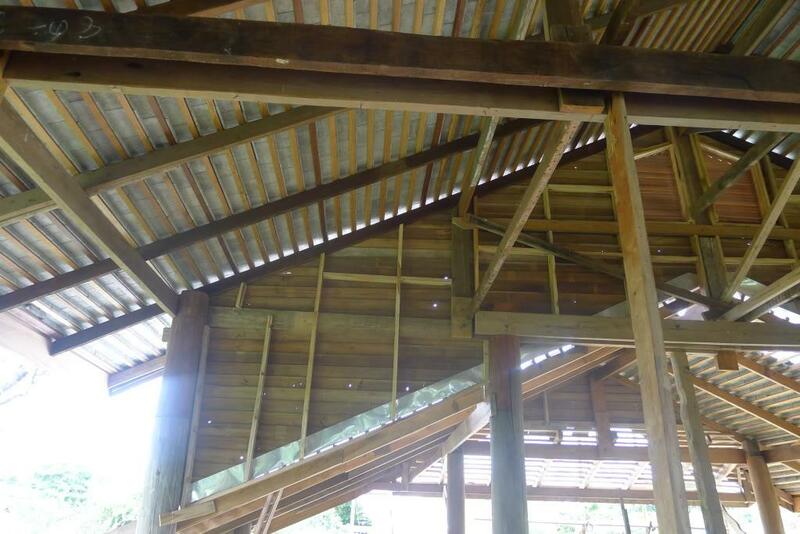 The estimate to build the rice barn up is about 250,000 for basic requirements with bathroom electrics and water. Septic tank is purchased and comes with price of barn but not yet in the ground. We also have other choice bits of wood that are around the plot for use inside the house or gate at the front. This will also come with the house if purchased at full price. Pictures and any further details can be shown as per request. This shows the google maps location close up. 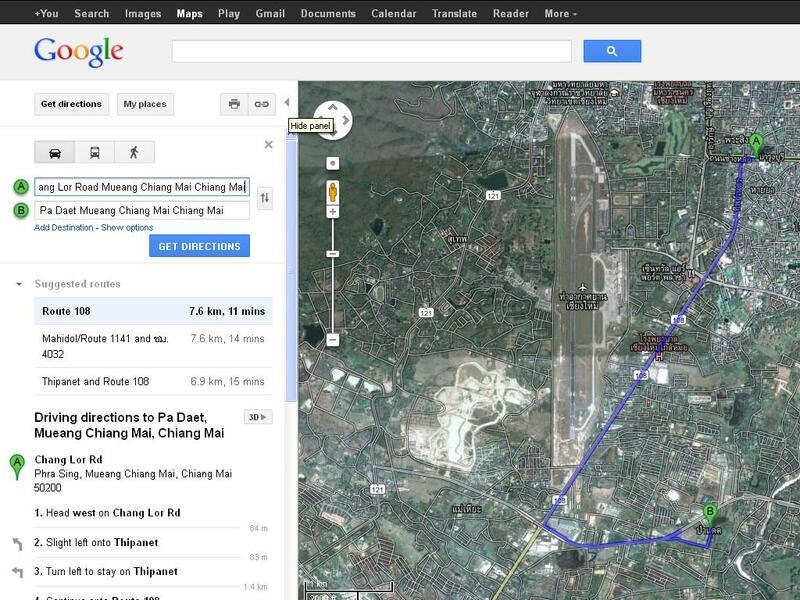 This shows we are 7km to the moat of Chiangmai. Sketch up picture of downstairs, this shows open big space of house, if continued as we have set out. 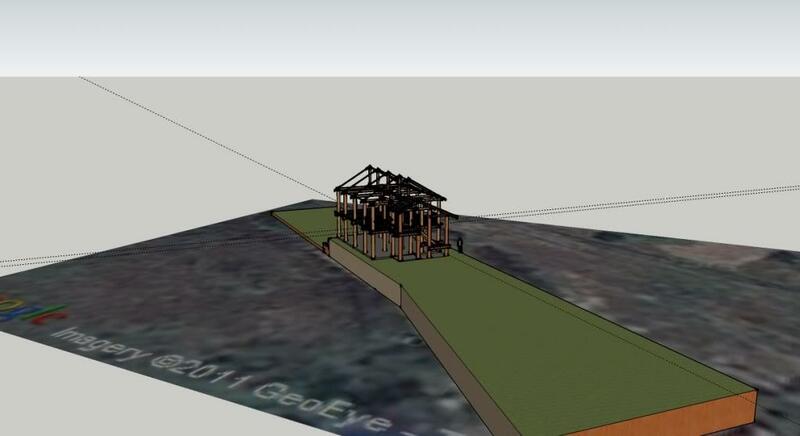 I do have more pictures of sketch up for 3D or planning house plans that i can upload also. If someone would like rice barn pictures i can send these also.